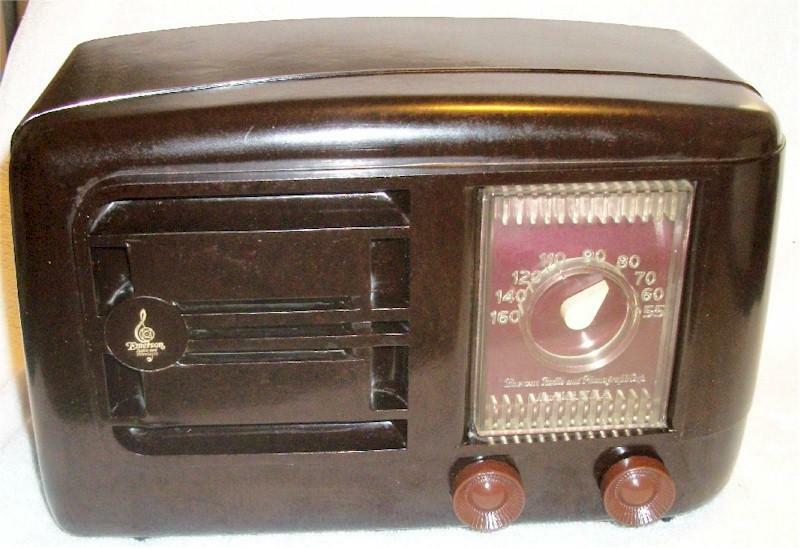 Very clean; this nicely polished Bakelite table radio has no cracks, chips or scratches. 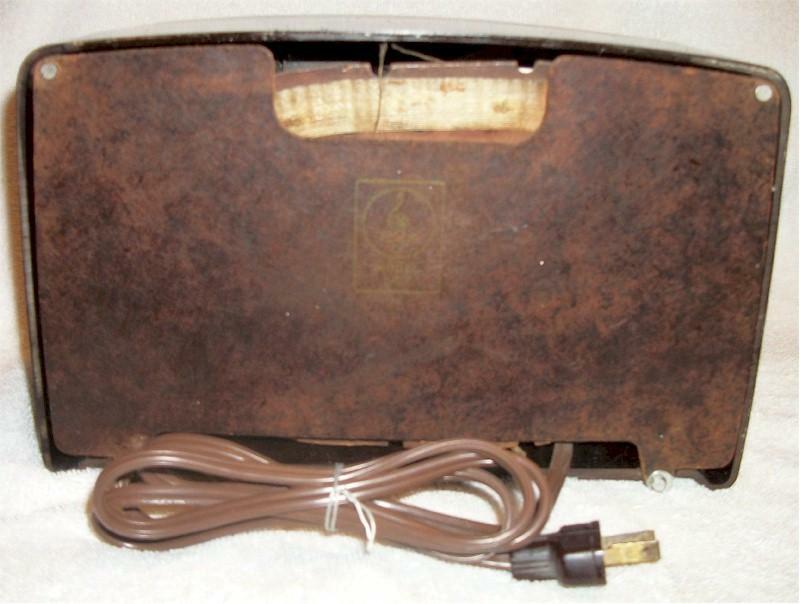 New power cord, original knobs. It has been electronically restored and plays loud and clear. You are visitor number 3,659 to this page.